It’s very important to say sorry when you do something wrong. BUT!! 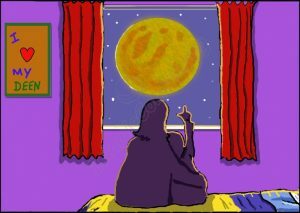 Some people keep saying sorry and never correct themselves… that is really annoying! 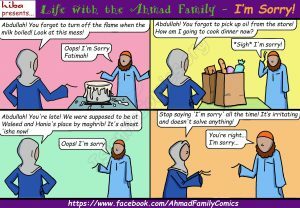 Jamal’s parents have a discussion on saying ‘sorry’ in this Islamic comic. Enjoy! 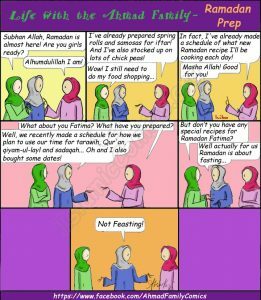 In this Islamic comic, Umm Jamal and her friends are getting ready for Ramadan… Let’s see how they do their Ramadan Prep! 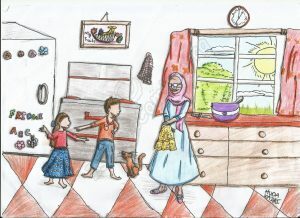 Here are some sample illustrations I did for ‘Zainab’s Ramadan Basket’; a children’s book from IIPH. 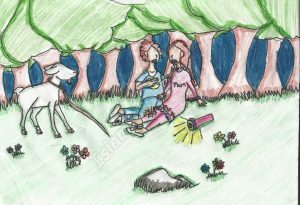 Jamal’s Bad-Time Tale – My Own Book! 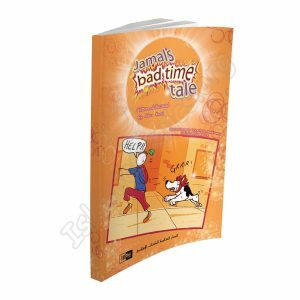 Alhumdulillah, my own book, ‘Jamal’s Bad-Time Tale’ has recently been published by IIPH (International Islamic Publishing House)! 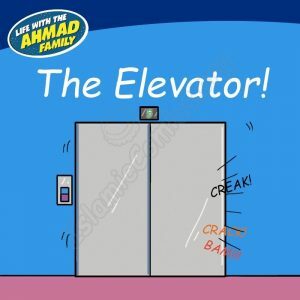 Here’s a sneak peak of the illustrations for all you Ahmad Family fans! 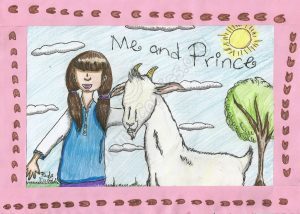 In this story about ‘Eid ul Adha by Yusra Kazmi; Haniyah and her brother Hasan lose their goat, but in the end they learn an important lesson! ‘Alee accuses his sister ‘Atikah of showing off and their grandmother helps to settle the matter. 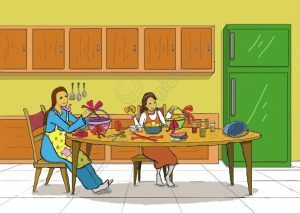 A nice story by Huda Kazmi with a nice moral.